Are you ready to stopped feeling stress? Feel relaxed again with the help of Elkhart Massage. We’re a local massage company so you can receive the wonderful benefits of a massage as often as you’d like. Having a massage completed on a regular basis can improve the overall quality of your life. Elkhart Massage makes getting regular massages an affordable option. Whether you’re looking for a sports massage, deep tissue massage, or deep tissue massage or massage therapists are top notch individuals trained in the field of helping you feel more human again. There are many reasons why our customers keep coming back again and again! Getting a massage is one thing you want to leave to the professionals. Elkhart Massage knows exactly which pressure points to work and which muscles need massaged. One of the best parts about working with Elkhart Massage is that we’re locally owned. We understand the role of a local business in Elkhart County’s economy and we’re proud to be a part of it. No matter how many massages you need overtime, we’ll be there to deliver again and again. You may think you can’t afford the luxury of a massage, but think again! Elkhart Massage is an affordable luxury that comes to you. Think in terms of mobile—we come to you, so you can spend less time in the car and more time relaxing in the comfort of your own home. We will also beat any advertised price! Massage has a reputation for being a luxury for high powered executives who are stressed out from the fast pace of their lives, but that is only one small aspect of massage. Getting a professional massage can be beneficial to your physical health, even if you do not feel emotionally stressed. Some physicians even recommend that their patients get regular massages from licensed massage therapists in order to help manage certain health conditions. The massage professionals at Elkhart Massage always make your physical and emotional wellbeing their first priority. All of the massage therapists at Elkhart Massage are licensed in the types of massage they perform, and there is nothing risky or sleazy about any of it. We offer a variety of types of massage, include massages specifically for elderly persons, pregnant women, and couples. You can visit us at one of our locations in Elkhart County, or we can come to you at your home anywhere in the Michiana area. Most of our services can be brought to you at your home, but some require our special equipment at our massage therapy centers. The Mayo Clinic recommends various types of massage as part of the treatment for some conditions that involve chronic pain, such as sports injuries, fibromyalgia, and soft tissue injuries. Massage is also indicated for the treatment of paresthesias, temporomandibular joint pain, and even insomnia. Massage is contraindicated for people with bleeding or blood clotting disorders and those taking blood thinning medications; it is also not recommended for people with osteoporosis or other conditions that put them at high risk of suffering bone fractures. 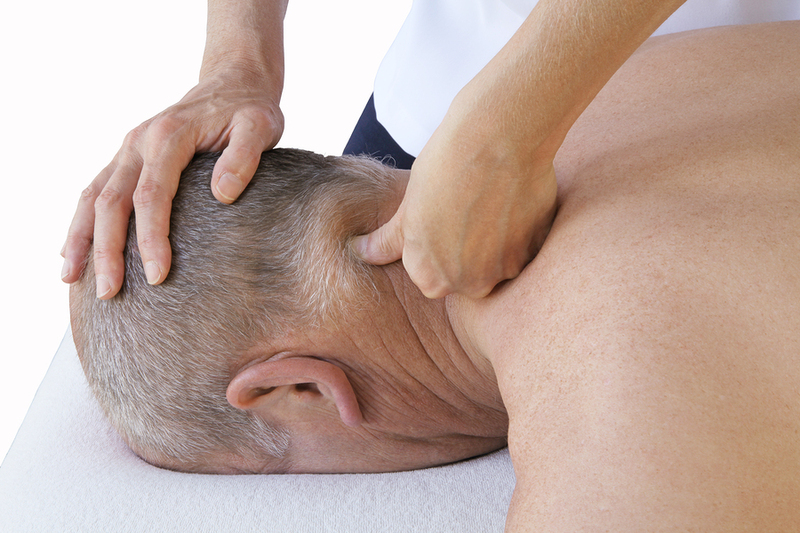 Ask your physician if he or she recommends a certain type of massage for your health conditions. We are sure that you will be satisfied with your experience at Elkhart Massage. We offer safe, effective, and affordable massages to fit almost anyone’s needs. We will send a licensed massage therapist to you whether you are in Elkhart, Bass Lake, South Bend, Indian Village, Benton Harbor, White Pigeon, Stevensville, or anywhere else in the Michiana area. All of our massage therapists are certified practitioners who are thoroughly knowledgeable about how to perform massages safely and effectively. Our massage therapists are courteous, compassionate, and professional and will never do anything that makes you uncomfortable. Elkhart Massage is a locally owned business, and we believe in supporting our local economy and community. We appreciate the values of the Michiana area, and we practice massage therapy as a way to improve physical and emotional health; there is nothing sleazy or ostentatious about it. We have built our reputation through word of mouth publicity from our repeat customers, whom we have helped stay healthy and relaxed for many years. We also believe in providing our services for a fair price, and we never try to sell our customers more than they want or need. We offer massage therapy sessions as short as fifteen minutes, as long as an hour and a half, and anything in between. Contact Elkhart Massage today, and we will help you toward a healthier and happier you. Ready to get started? Give Elkhart Massage a call right now at 574.584.2961.